Life is precious. Is the Nigerian life precious? A reflection of the premium placed on human life is the care pregnant women receive. 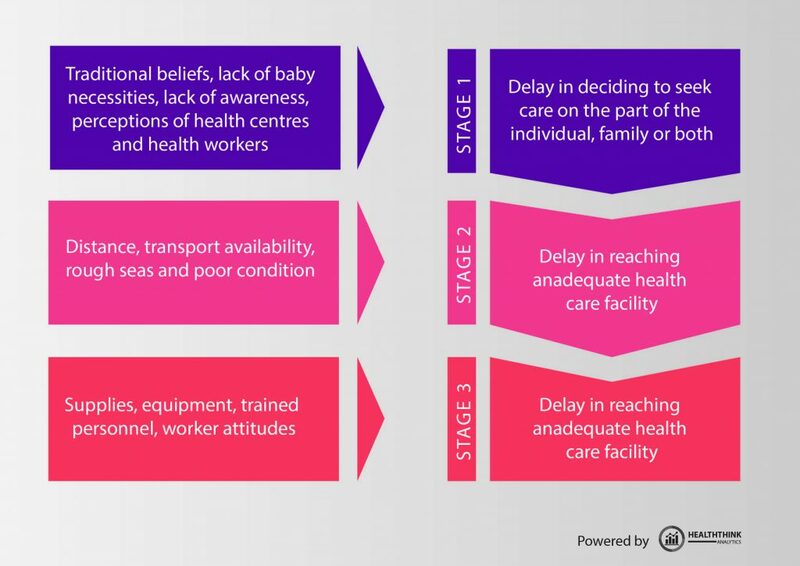 The state of maternal health in a society shows the extent of how the weak and vulnerable are taken care of (1).What emphasis is placed on maternal health care in Nigeria? 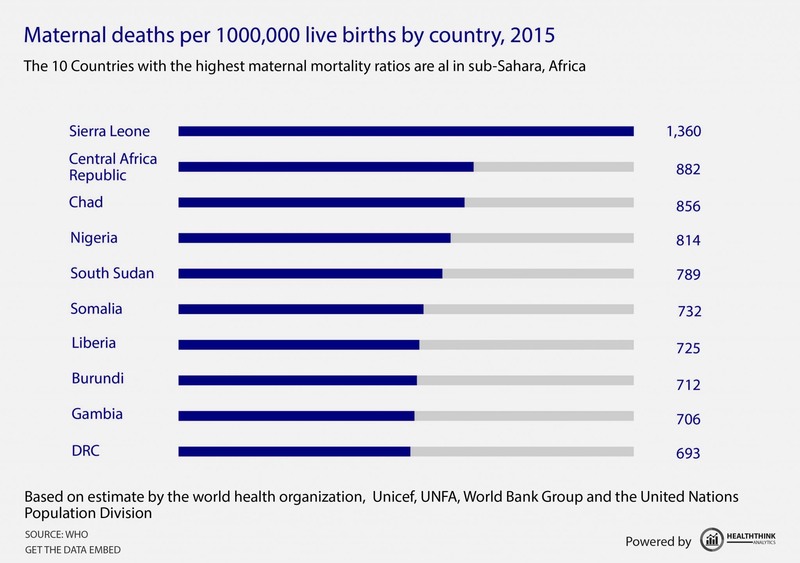 Nigeria has one of the highest maternal mortality ratios in world (2). She contributes 2% to the global population, however accounts for 10% of maternal deaths (3). Approximately over 100 Nigerian women die every day from causes related to childbirth (4). This is akin to a large sized plane crash every week! Where is the outrage! No wonder the Yorubas of South-West Nigeria felicitates with a successful parturient by saying “eku ewu omo” which translates as “congratulations on navigating the perils of childbirth”! According to the World Health Organization, maternal death is defined as death of a woman while pregnant, or within 42 days of termination of pregnancy, irrespective of the site or duration of pregnancy, from causes related to pregnancy and/or its management, but not from accidental or incidental causes (5). 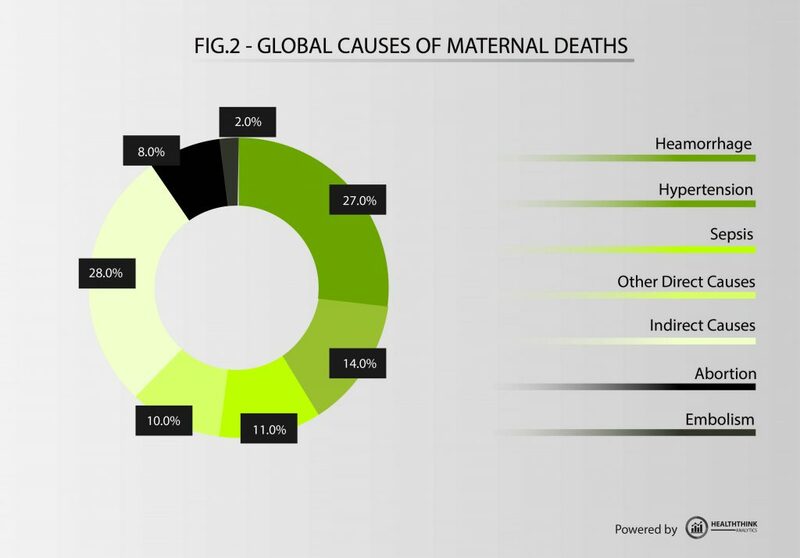 Globally, the leading causes of maternal deaths are indirect causes (HIV/AIDS, Malaria), haemorrhage, hypertensive disorders, sepsis e.t.c. (5). In Nigeria, haemorrhage, unsafe abortion, sepsis and hypertensive disorders have been fingered as the key contributors to maternal deaths (4). Measures of maternal deaths include maternal mortality ratio, maternal mortality rate and life time risk of maternal death (5). The most widespread In use is the maternal mortality ratio. The maternal mortality ratio for Nigeria is 576 per 100,000 live births, one of the highest in sub-Saharan Africa.6 However, WHO 2015 estimates puts it at 814 per 100,000 live births.5 The life time risk of maternal death in Nigeria is 1 in 13 compared to 1 in 31 for Sub- Saharan Africa as a whole (4). Under each class are poignant factors highlighted below. Fig. 3: Thaddeus and Maine three delay model. Various measures have been advocated as a means to prevent and reduce maternal deaths globally. Central to these efforts is the role of skilled birth attendants. A skilled birth attendant is an accredited health professional such as a nurse, doctor or midwife who has been trained to proficiency in the skills needed to manage an complicated pregnancies, childbirth, and the immediate postnatal period and in the identification, management and referral of complications in women and newborns (9). The percentage of births attended by a skilled birth attendant is regarded by the WHO as a critical progress indicator for the attainment of sustainable development goal 3(10). However, there exists a global disparity in the proportion of births delivered by skilled birth attendants between high income economies and low and middle income countries (10, 11). Nigeria is not left out in this regard. There is a dearth of skilled manpower to deliver qualitative maternal healthcare (12, 13). According to National Demographic and Health Survey (NDHS) 2013, only 36% of deliveries were conducted by skilled birth attendants. Overall delivery in a health facility was 38%, while 60% of pregnant women had at least one antenatal care visit (6). Traditional birth attendants are part of the socio-cultural fabric of various communities in Nigeria (14). They have wide spread social, cultural and religious acceptance. They are often touted as one of the reasons for the low patronage of orthodox health facilities for prenatal, intrapartum and postnatal care (14, 15). unsterilized equipment, little or no knowledge of prevention of mother-to-child transmission of HIV and sheer ignorance (17). Despite the drawbacks associated with TBAs, the question is that given the dearth of skilled manpower in Nigeria, do TBAs have a role to play in combating maternal deaths? The answer is yes, however, a number of clear, intentional, proactive and measurable steps need to be taken at national, state and local government levels with the inclusive participation of relevant stakeholders in order to properly harness their potential (18). The ‘Abiye’ project in Ondo state under the administration of Dr. Segun Mimiko is a useful model of how TBAs can be incorporated into contemporary obstetric practice (19, 20). should be paired and integrated especially with regards to the referral process. TBAs should have an acceptable mode of transportation and mobile phones to enhance communication with the referral centre (18, 19, 20). compensation for timely referral of cases and punitive measures and sanctions if laid down procedures are not complied with.19 The attitude of healthcare workers to TBAs and women who patronize them should not be condescending; rather it should be one that fosters mutual trust and openness for the overall benefit of the society. In conclusion, the role of skilled birth attendants in preventing maternal deaths cannot be over emphasized. However, Nigeria has a dearth of trained manpower in this regard. TBAs can be harnessed to fill this void. They exemplary success of the ‘Abiye’ project should be scaled- up nationally to achieve this. Fawole OI, Adeoye IA. Women’s status within the Household as a determinant of maternal health care in Nigeria. African Health Sciences. 2015; 15(1): 217-225. Faduyile FA, Soyemi SS, Emiogun FE, Obafunwa JO. A 10 year autopsy based study of maternal mortality in Lagos State University Teaching Hospital, Lagos, Nigeria. Nigerian Journal of Clinical Practice. 2017; 20(2): 131-135. Audu BM, Takai UI, Bukar M. Trends in maternal mortality at the University of Maiduguri Teaching Hospital. Nigerian Medical Journal. 2010; 51(4): 147- 151. Izugbara CO, Wekesah FM, Adedini SA. 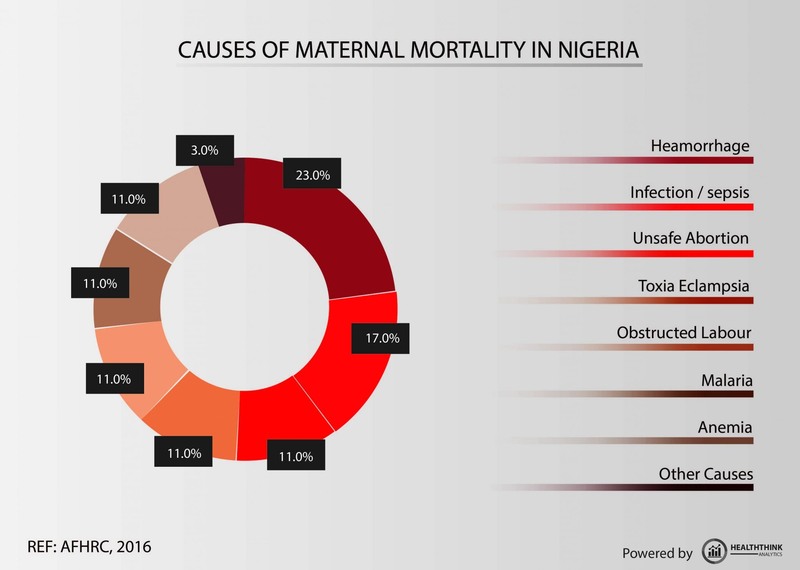 Maternal Health in Nigeria: A situation Update. African Population and Health Research Centre. April 2016. World Health Organization. Trends in Maternal Mortality 1990- 2015: estimates by WHO, UNICEF, UNFPA, World Bank Group and the United Nations Population Division. Geneva. WHO 2015. National Population Commission. National Demographic and Health Survey. Abuja. NPC 2013. Alkema L, Chou D, Hogan D, Zhang S, Moller A, Gemmill A et al. Global, Regional and National levels and trends in maternal mortality between 1990 and 2015, with scenario based projections to 2030: A systematic analysis by the UN maternal mortality estimation inter-agency group. The Lancet. 2016; 387(10017): 462- 474. Thaddeus S, Maine D. Too far to walk: maternal mortality in context. Social Sciences and Medicine. 1994; 38(8): 1091- 110. Utz B, Siddiqui G, Adegoke A, Van Den Broeck N. Definitions and roles of skilled birth attendant: a mapping exercise from four South Asian countries. Acta Obsterica et Gynaecologica Scandinavica. 2013; 92(9): 1063- 1069. World Health Organization. Skilled Attendants at Birth. Available from: http://www.who.int/gho/maternal_health/skilled_care/skilled_birth_attendance_text/en/ [accessed 28th June 2017]. Nkwo P, Lawani LO, Ubesie AC, Onodugo PA, Obu HA, Chinawa JM. Poor availability of skilled birth attendants in Nigeria: a case study of Enugu state healthcare system. Annals of Medical and Health Sciences Research. 2015; 5(1): 20- 25. Oshonwoh FE, Nwankwo G, Ekiyor CP. Traditional Birth attendants and women’s health practices: A case study of Patani in Southern Nigeria. Journal of Public Health and Epidemiology. 2014; 6(8): 252- 261. Traditional Birth Attendants. A joint WHO/UNFPA/UNICEF statement, WHO, Geneva, 1992. Mfrekemfon PI, Okere UA. Traditional Birth attendants and maternal mortality. Journal of Dental and Medical Sciences. 2015; 14(2): 21- 26. Bergstrom S, Goodburn E. The role of traditional birth attendants in the reduction of maternal mortality. Available from: http://jsieurope.org/safem/collect/safem/pdf/s2933e/s2933e.pdf [Accessed 28th June 2017]. Adenike Badiora. Ondo State pays traditional birth attendants to get them off pregnant women. Available from: http://www.mamaye.org.ng/en/blog/ondo-state-pays-traditional-birthattendants- get-them-pregnant-women [Accessed 28th June 2017]. Alebiosu Emmanuel Adeniran. National Health System, Maternal Health and the Millennium Development Goals: A Review of Abiye Programme in Ondo State. International Journal of Humanities and Social Sciences. 2014; 4(12): 212- 220.